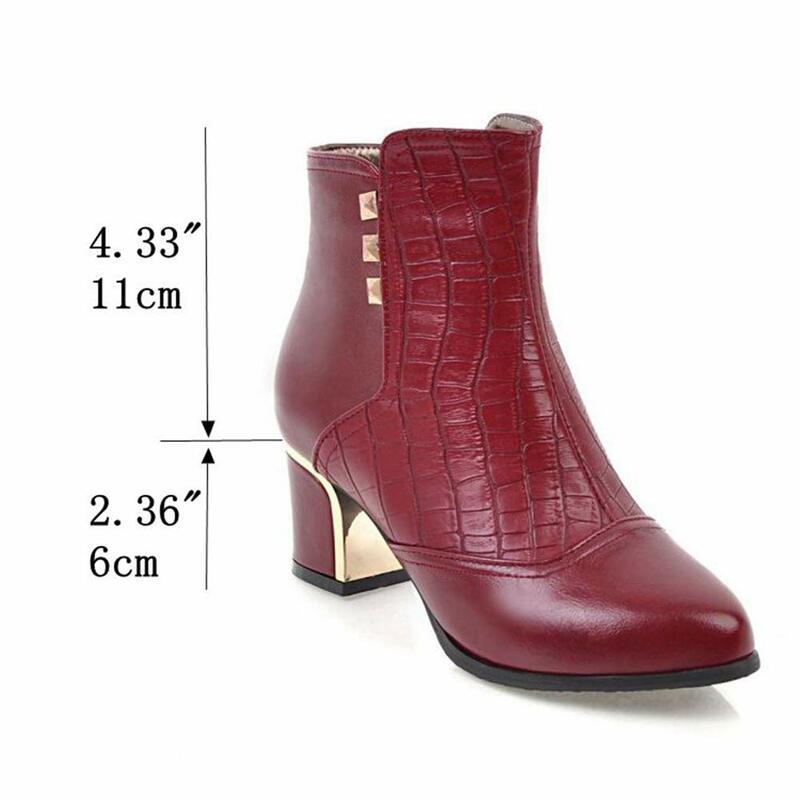 Heel measures approximately 2.36 inches\". 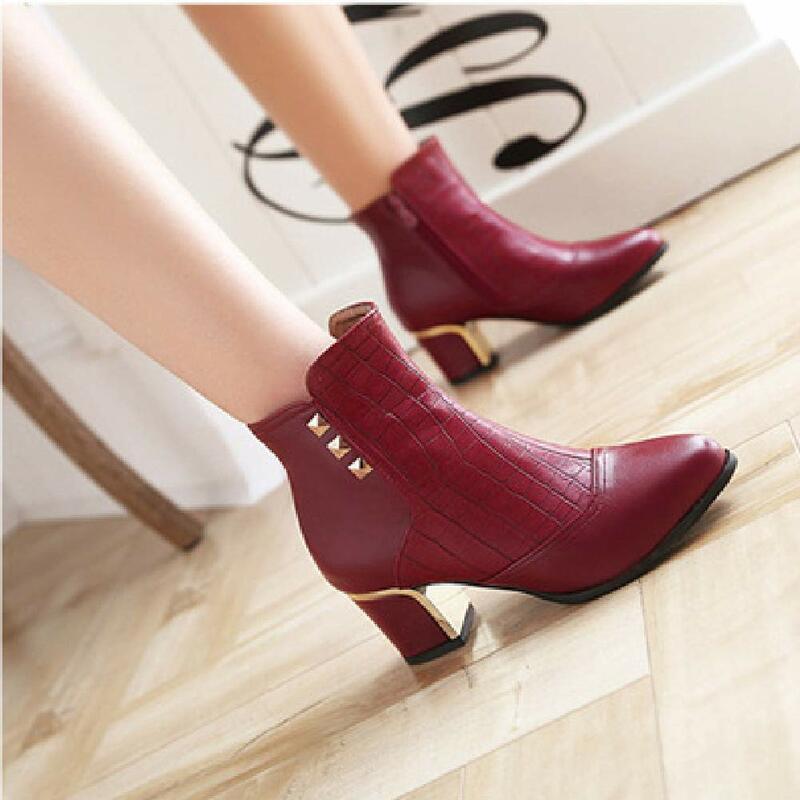 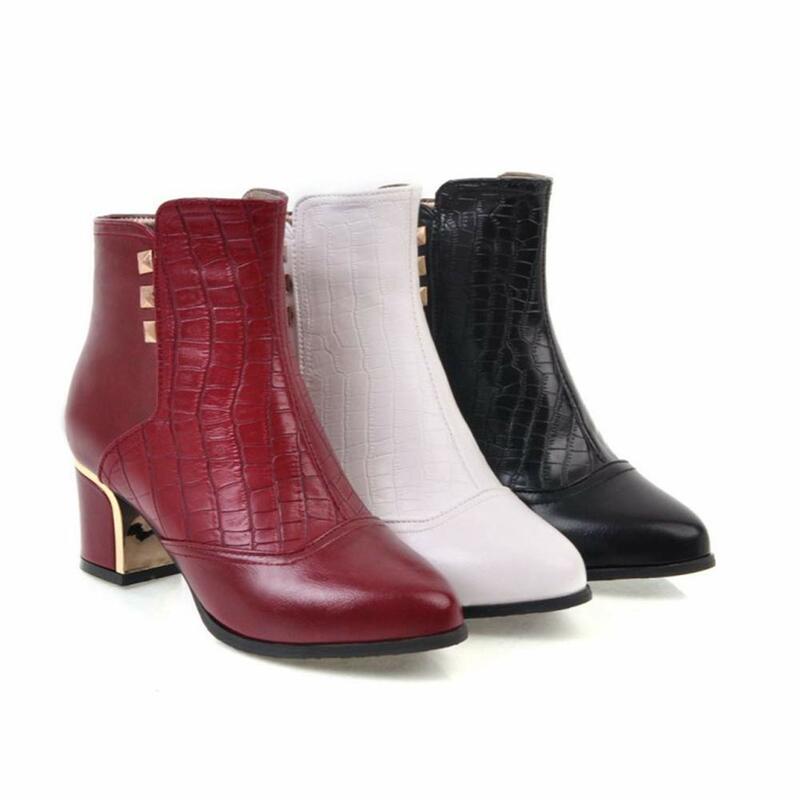 Classic clean sleek look in these fashion ankle boots. 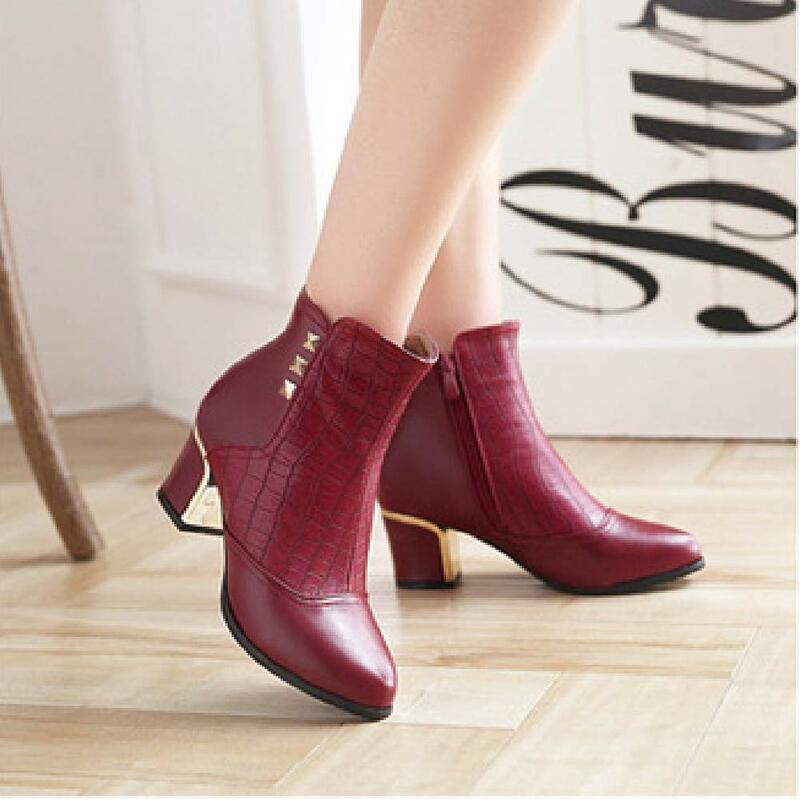 Made of Safe Synthetic Leather, Side Zipper Closure for Easy On/Off. 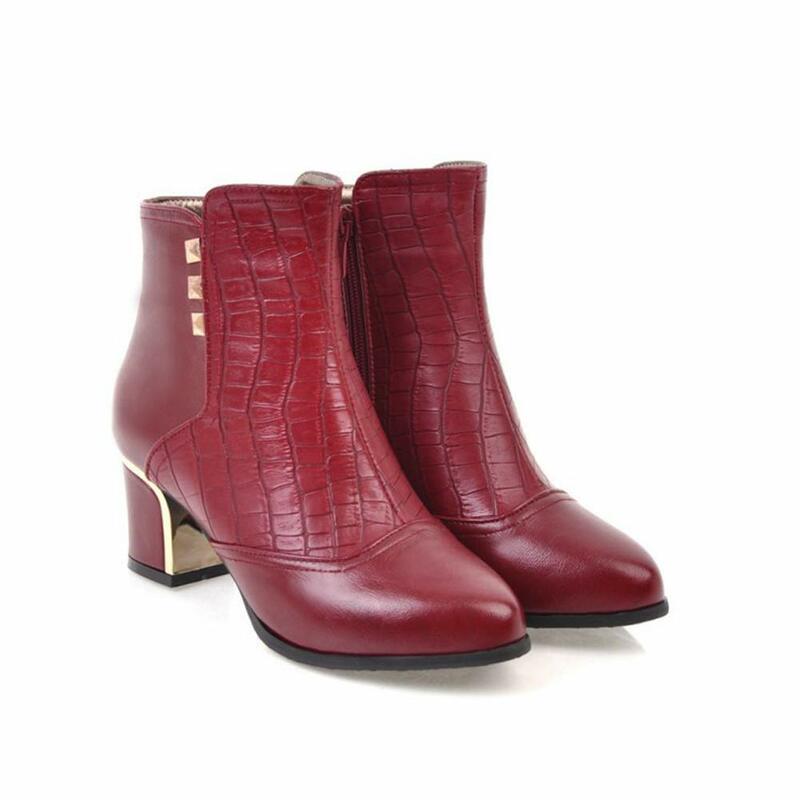 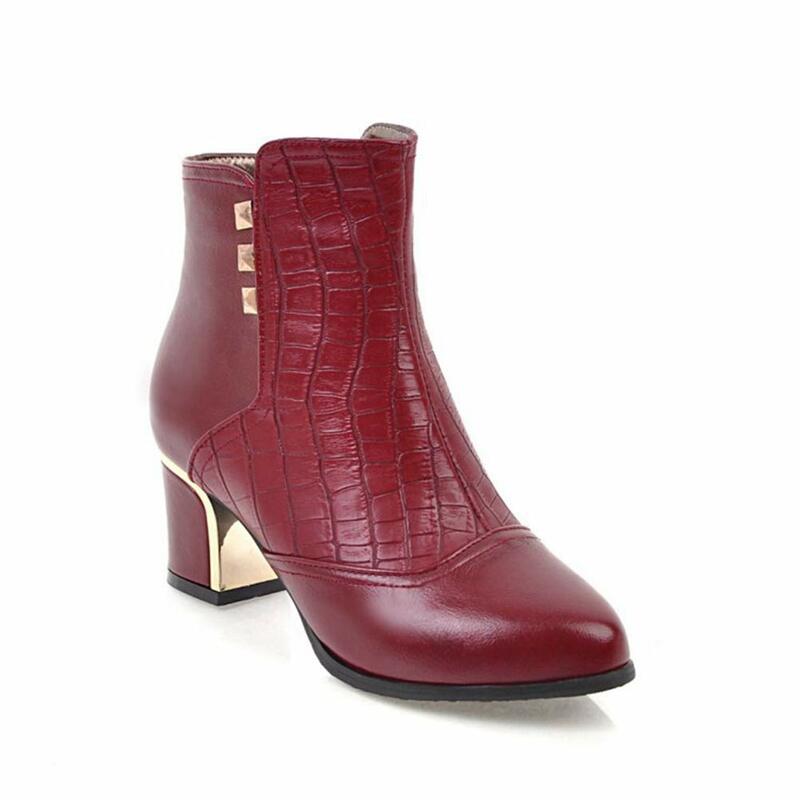 Stylish Mid Chunky Stacked Heel,Pointed Toe Booties for Autumn,Winter.